If you haven’t tried flax seeds yet, you should! These tiny seeds have so many amazing health benefits. The father of medicine himself, Hippocrates, used flax seeds as one of the original medicines back in 650 BC. You can find them at any vitamin or health food store. It is best to buy organic whole flax seeds and grind them right before you use them. If you buy ground flax seeds, you many not be getting the maximum benefits because the seeds get exposed to heat and light and aren’t as potent. 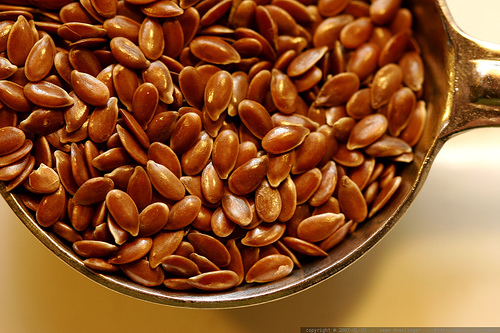 Flax seeds are an excellent source of Omega 3 fatty acids called alpha-linolenic acid. They also contain omega 6 linoleic acid, omega 9 oleic acid plus vitamins B1, B2, C, carotene, manganese, magnesium, phosphorous, copper, iron, thiamin, zinc and selenium. The health benefits of flax seeds include improving cardiovascular health by lowering LDL cholesterol, keeps the colon healthy, boosts the immune system, stabilizes blood sugar levels and promotes healthy skin. They are also reported to relieve hot flashes associated with menopause. Flax seeds can help keep your body slim because they are high in essential fatty acids and can increase metabolic rate which helps to burn the excess unhealthy fat in the body. Eating good fats will ensure that your body will store the right amount of fats. This process is called thermogenesis. Flax seeds contain phytonutrients, known as lignins. Lignins have anti-cancer properties, especially in relation to breast and colon cancer. Lignins seem to flush excess estrogen out of the body, thereby reducing the incidence of estrogen-linked cancers, such as breast cancer. Besides anti-tumor properties, lignins have antifungal, antibacterial and antiviral properties. 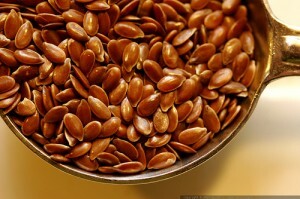 The Budwig Center has been advocating the flaxseed oil diet since 1951. It was founded by a German biochemist named Dr. Johanna Budwig. 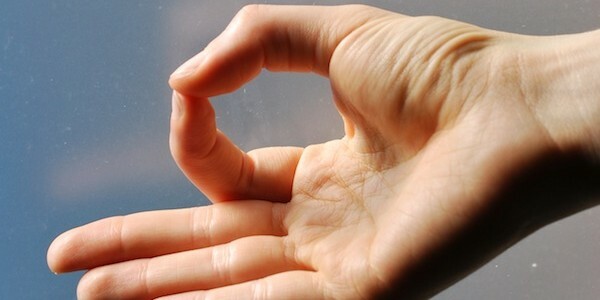 They have been successfully treating people with cancer, heart disease, asthma, arthritis, diabetes, fibromyalgia, blood pressure, multiple sclerosis, psoriasis, acne, eczema and other conditions since 1951. The recipe the Budwig Center recommends is flax oil mixed with cottage cheese. They also recommend fresh juices. Flax oil taken with meals can actually increase the nutritional value of your foods. Add a few spoons of ground flax seeds to your smoothies, sprinkle it on your salads, vegetables, cereals and oatmeals. Purchase only refrigerated flax seed oil. Minimize exposure to light, heat, and air. The oil is best when used within 6 weeks of pressing so buying in smaller containers is recommended depending on your usage. The oil can go bad fast so be very careful with it. Even Mahatma Gandhi said “Wherever flaxseed becomes a regular food item among the people, there will be better health.” Can you believe he said that? He did! !